How fun it is to try out new things. New programming languages, games, photography tricks and of course new techniques in engraving. This time I present to you a hobo nickel, my first try on this. The term ‘hobo’ comes from America where it meant in the beginning of 1900s homeless people. One way for homeless people back then to get some food was to carve, or modify, existing coins and make art out of them and exchange these pieces for food. 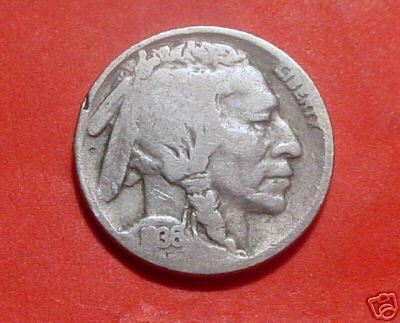 Most popular coins that were, and still are, carved were Buffalo nickels, which were made in 1913-1938 period. They had large area, lots of metal to transform to new artwork and, last but not least, they were cheap – 5 cents. The process of carving is relatively simple. You take your host coin, your 2 tools plus sanding paper and off you go. Trim the nose, chin, remove feathers, add hat or hair and so on. But to make a really nice modification it requires lots of time, skill and talent. I think I have 1.3 of 3 requirements (time and little talent). As you can see the backgrounds are not very smooth and I have some holes, which I made during the flattening process with graver. As they say, it can only get better! I’ve never heard of this before. This is really great. What are the tools you used, apart from the sandpaper? Actually I didn’t use any sandpaper :). Basically I started with different engravers (V-shaped and flats) to cut the new profile and somewhat smooth the surfaces. After that I used special diemaker stones to smooth the surfaces. 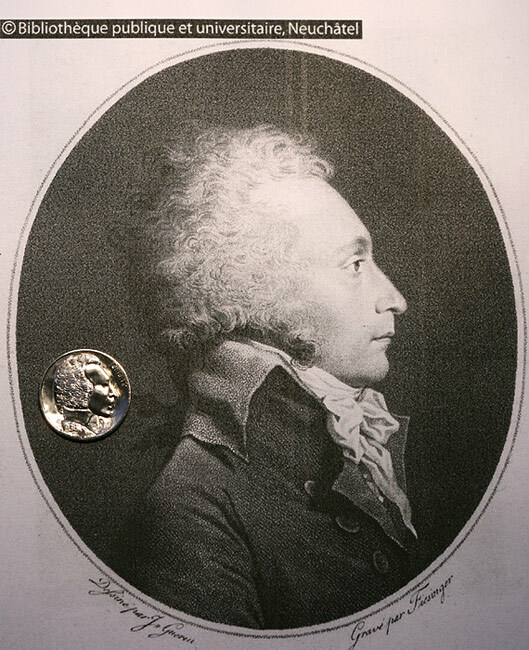 Of course the coin isn’t as good as it might, but hey, it’s the first. It does look good. How long did it take you to do this? It looks like a good hour or two’s work, but it only shows how much I know if it ends up to be five hours’ worth of labor. What are you going to work on next? I’d think something along the likes of those coins (http://catholicsensibility.wordpress.com/category/coins/) would be sweet, but I’d feel guilty about eradicating the features of something that’s seen the loud and crowd of the past in the pockets and hands of long dead men. Have you seen the new presidential dollar coins? I think they’re going to do all of the presidents, and I reckon the last few, once they come out, could do with some modifying, heh heh. 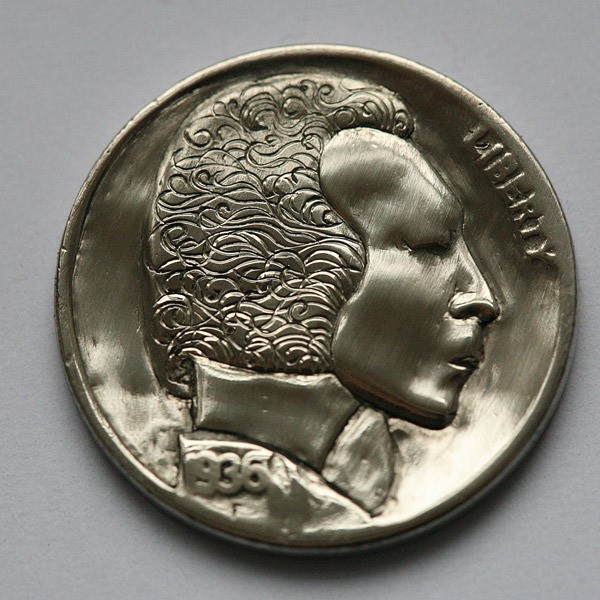 It took about 8 hours to make this coin. I’m sure the time lessens after practice, but now it takes quite a while. I still have 8 Buffalo nickels in reserve for carving, so I guess these will be next in the line. Reason to use Buffalos is that the original hobos in the 20’s and 30’s used these coins as hosts for their artwork. And currently collectors want these the most, so I guess good idea is to do these. Of course there is no limit what can be the host. I’ve only heard about presidential dollars and seen some of them on photos. US currency doesn’t circulate in this part of the world very much (at least not the coins :)). Would you mind terribly posting link(s) to some sites where I can see the specific tools you used? I’ve been carving in wood but the tools for carving metal, particularly at this small size, are not familiar to me. A friend of mine said I was crazy for not wanting to use a Dremel, but I figured, how many 1930s hobos had a Dremel too (and a portable generator!) in their pocket…. Thanks for any leads you can provide!